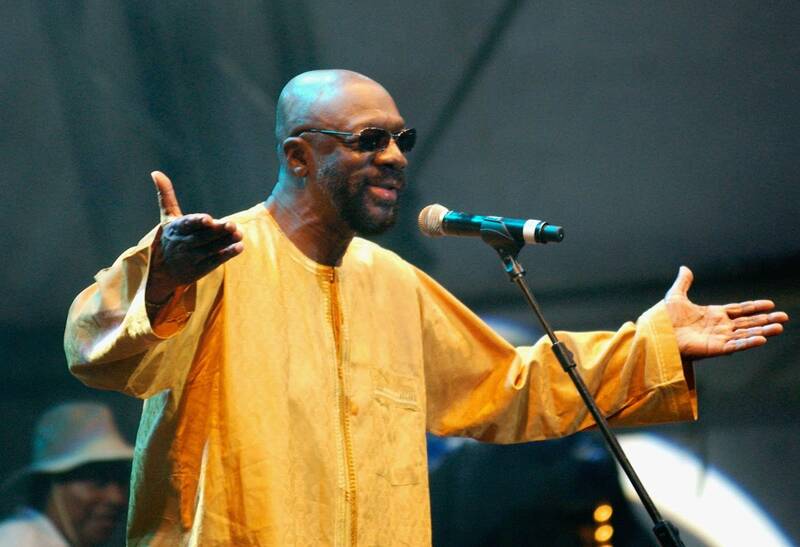 Today in 2008, singer-songwriter Isaac Hayes died at his home in Memphis, Tenn., at the age of 65, due to a stroke. Hayes was one of the creative forces behind the Southern soul-music label Stax Records, where he served both as an in-house songwriter and as a session musician and record producer, teaming with his partner David Porter during the mid-1960s on several projects. The hit song "Soul Man," written by Hayes and Porter and first performed by Sam & Dave, has been recognized as one of the most influential songs of the past 50 years by the Grammy Hall of Fame. Hayes is well-known for his musical score for the film Shaft, and his hit song, the "Theme from Shaft", won Hayes the Academy Award for Best Original Song in 1972. Later in his career, Hayes also became known as the voice of Chef from the hit cartoon show, South Park. 1959 - Four members of the Platters were arrested following a gig in Cincinnati after being found with four 19-year-old women in various stages of undress. The scandal resulted in radio stations across the U.S. removing Platters records from their playlists. 1963 - Thirteen-year-old Little Stevie Wonder started a three-week run at No. 1 on the U.S. singles chart with "Fingertips part II," making him the youngest singer to top the charts. 1964 - Mick Jagger was fined p32 in Liverpool for driving without insurance and breaking the speed limit. His solicitor explained that Jagger was on 'an errand of mercy', driving to see two fans injured in a car crash. 1974 - John Denver went to No. 1 on the U.S. album chart with Back Home Again. 1974 - Roberta Flack went to No. 1 on the U.S. singles chart with "Feel Like Makin' Love," her third U.S. No. 1. 1976 - Elton John begins a historic record-breaking ten-night run of concerts at New York City's Madison Square Garden. 1985 - Canadian singer and guitarist Bryan Adams scored his first U.S. No.1 album with Reckless. 1985 - Simon Le Bon from Duran Duran was air-lifted to safety when his boat, Drum, overturned while racing off the English coast. Le Bon was trapped under the hull with five other crew members for 20 minutes until they were all rescued by the Royal Navy. 1997 - Puff Daddy & the Family went to No. 1 on the U.S. album chart with No Way Out. 2005 - Mariah Carey had the U.S. No. 1 single with "We Belong Together." 2012 - Insane Clown Posse takes exception to the FBI naming their fans, collectively known as "Juggalos," as a criminal gang in the FBI's "2011 National Gang Threat Assessment Report." At the annual Gathering of the Juggalos event in Illinois, they announce intentions to sue the FBI. Despite this, the FBI continues to list Juggalos as an organized gang in later years. Veronica Yvette Bennett, also known as Ronnie Spector, is 75 today. Spector was the lead singer of the Ronettes, which had a bunch of hits during the early to mid-1960s including "Be My Baby", "Baby, I Love You", "The Best Part of Breakin' Up", "Do I Love You? ", and "Walking in the Rain". INXS drummer Jon Farriss is 57. Michael Bivins of Bel Biv Devoe is 50.